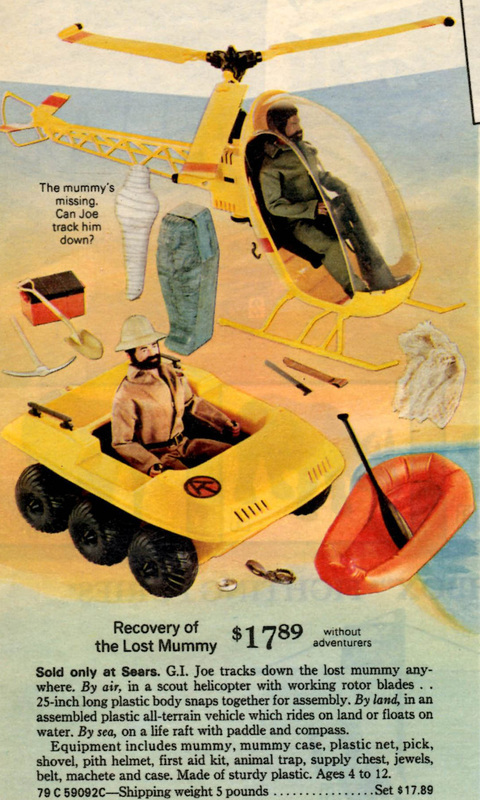 Recovery of the Lost Mummy (79-59092) was a Sears exclusive gift set for 1972. 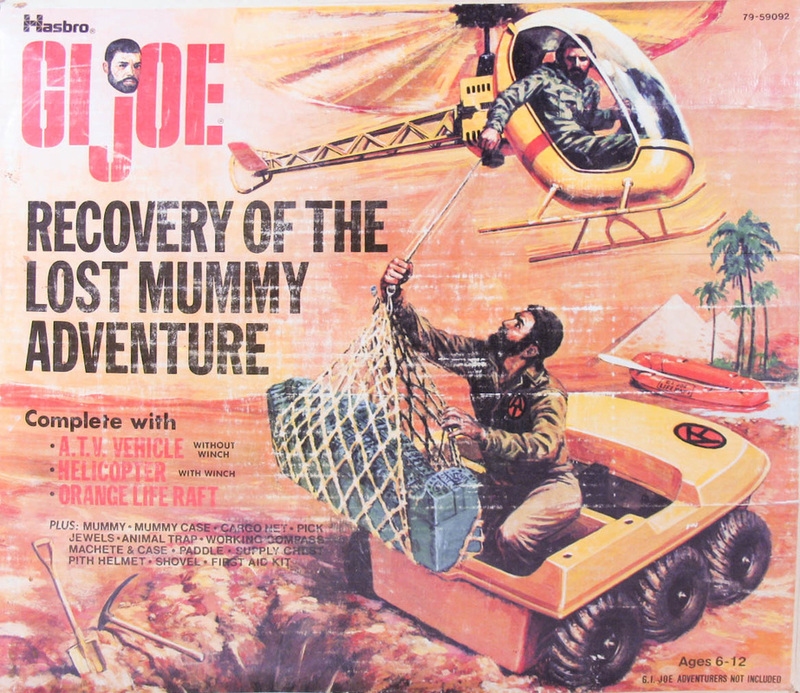 It included the Secret of the Mummy's Tomb set without the winch for the ATV, an Adventure Team Helicopter, and a few bonus items including an orange raft and black paddle, a cargo chest, animal trap, compass and first aid kit. Though not advertised on the box, it seems the set often also included a tan web belt. Note that the belt and compass have been omitted from the spins on this page. The helicopter shown is a later issue example; the set more likely included the earlier version with black rubber tips on the end of the rotor blades. The same can be said for the mummy shown- it lacks the paint detail and is likely from the 1974 version of Mummy's Tomb.